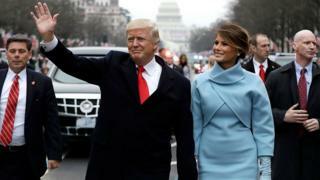 Prosecutors in Manhattan have ordered the Trump inaugural committee to hand over documents relating to how the team raised and spent over $100m (£77m). The subpoena requests a wide range of data regarding who donated to the inauguration, whether they were non-US citizens, and how the money was spent. White House spokeswoman Sarah Sanders told CNN on Tuesday that the order has “nothing to do with the president”. The subpoena, which has not been made public, does not allege any wrongdoing. “We have just received a subpoena for documents,” a spokeswoman for the Trump inaugural committee told US media. According to federal election law, foreign nationals are prohibited from donating to a US inaugural committee. The investigation is separate from special counsel Robert Mueller’s probe of possible Trump campaign ties to Russia, an investigation that has led to several indictments and guilty pleas. The subpoena from the Manhattan District Attorney’s Office comes grew out of the campaign finance prosecution of Michael Cohen, President Trump’s ex-personal lawyer. The investigation into Cohen, who is due to begin a prison sentence next month after implicating Mr Trump, arose from a referral from Mr Mueller’s team to New York prosecutors. According to ABC News, prosecutors are also requesting information about who attended inaugural events as Mr Trump was sworn into office in January 2017 and whether they were promised photo-ops with the president-elect, ABC News reports. The only man named is Imaad Zuberi, a former fundraiser for Democrats Barack Obama and Hillary Clinton whose company gave $900,000 to the committee. 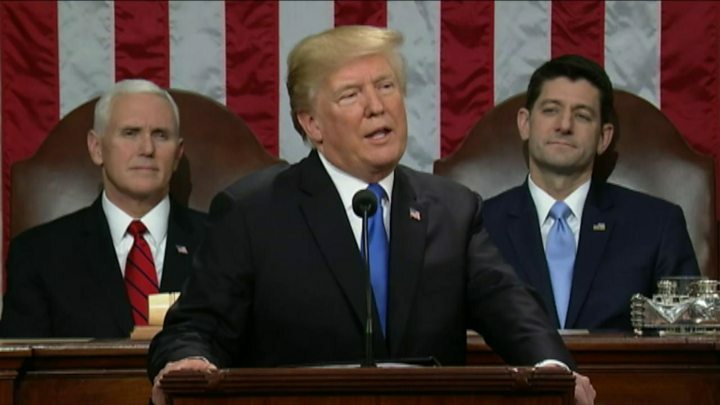 Media captionHas Trump kept his promises? A spokesman for Mr Zuberi said he had given “generously and directly” to the inaugural committee, but added that many others donated “substantially more”. According to the Wall Street Journal, Mr Zuberi had several conversations with Cohen about access to inaugural events. In 2014, Mr Zuberi registered as a lobbyist for Sri Lanka.